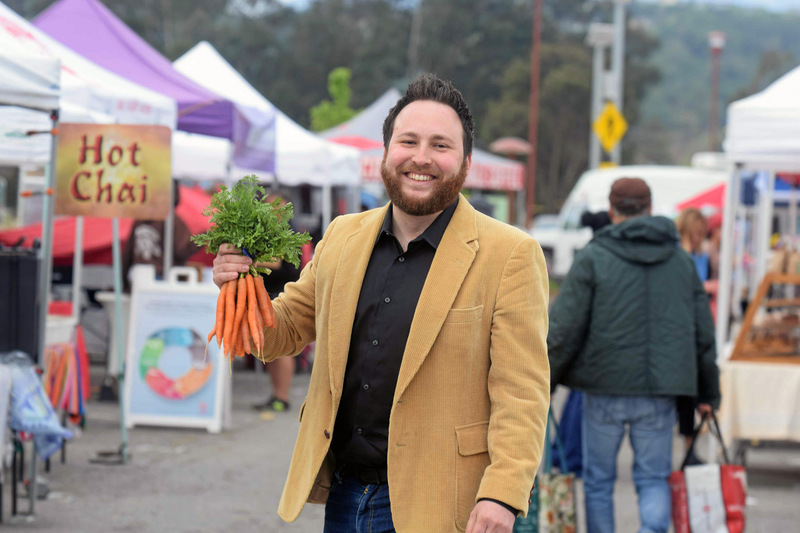 Q&A: Supporting local growers — and judging local bagels – J.
Andy Naja-Riese, 35, is CEO of the Agricultural Institute of Marin, an educational nonprofit that organizes farmers markets, farm-based educational programs and a mobile market in three Bay Area counties. He’s also the founder of the Bay Area Group Eating Lox & Bagels (or “B.A.G.E.L. & Bagels”). He lives with his husband in San Rafael. 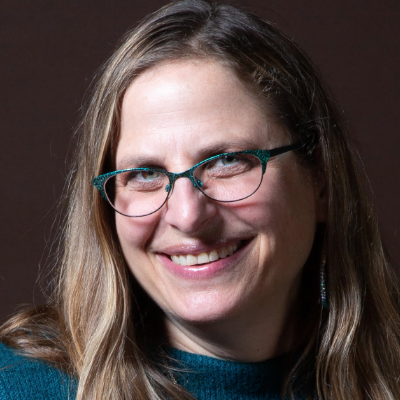 J.: Supporting local farms is something that already seems to be part of living in the Bay Area and, especially, Marin County, so what does AIM do, specifically? Andy Naja-Riese: The food industry is changing. Farmers and producers can sell in more places where people can buy directly from them. We operate seven year-round farmers markets, where families, chefs, health fanatics and visitors come together rain or shine, week after week, to buy responsibly produced food. We have over 155 farms and ranches from 38 counties from throughout the state that travel here to participate in our markets. We audit every single farm and ranch before we allow them to sell, and we visit the stalls to certify that everything on the table is something they’ve grown themselves. This is our way of ensuring that there’s no reselling at our markets and that everyone is getting an authentic shopping experience. Prior to joining AIM last May, you worked for the USDA Food and Nutrition Service, Western region, where you were responsible for the implementation and oversight of the Supplemental Nutrition Assistance Program, or SNAP (called CalFresh in California). I had a very geographically broad region and got to partner with some amazing communities, from rural villages in Alaska to isolated communities in Hawaii, Washington, Oregon and Idaho. Every community’s needs are different. They want foods that are culturally appropriate. It really informed my thinking about the cultural aspects of what we value and how we choose to spend our food dollars. What was it like to transition from working a government job to heading a nonprofit? I wasn’t looking for a new job, but I had always wanted to run a nonprofit, so the opportunity was very exciting. To work with community agriculture and support small farmers, it had all the things I love, and being able to do it in my own backyard was such a rare opportunity, so I jumped at it. It’s definitely a big change. With the bureaucracy of government, you see how slowly things work. The government is very risk averse. I’m always generating ideas, so being able to work with our amazing staff and farmers and board and community members to implement changes in our food system is amazing. Tell me something you’ve implemented since you’ve started. We run the Grand Lake Farmers Market in Oakland. We are developing a true partnership with the city of Oakland to ensure that the market is meeting the needs of many different stakeholders and community groups. We’ve added urban farms as part of our mix, and we have a new series called “Harvest Talks” where we’re talking about race and gender and the food system. We see it not just as a place to shop for food, but to learn about what you can do to play a more active role in changing your food system. What was the genesis of Bay Area Group Eating Lox & Bagels? Growing up in Queens, our Saturday morning tradition was to get bagels and lox. My grandparents would come every week. I know it’s cliché, but it represented family and community and wholesome food. By the time I moved here in 2010, my grandparents had passed away, and I wanted to preserve that tradition. Like many transplants, I became frustrated that I couldn’t find high-quality bagels. First, I took a class to learn how to make my own with Laurie Leiber. Later, a hike with college friends turned into a group resolved to research and find the best bagel in the Bay Area. We’d visit a new place once a month. We were a random group of people who either knew me, or really liked bagels. I’m a data person, so I created the Bagel and Lox Satisfaction Survey. After each outing, we’d have to answer questions like how silky was the lox, was it salty enough or too salty, how was the value, and we kept doing it, until we did an event called Bagala! where we donated the funds to UndocuFund [for undocumented workers affected by the Sonoma County fires]. We may do a second one because some new places are opening. What’s the origin of your unusual last name? I was Andy Riesenberg. My husband was Gary Najarian. In gay marriage, there are no rules, so we came up with a new last name.